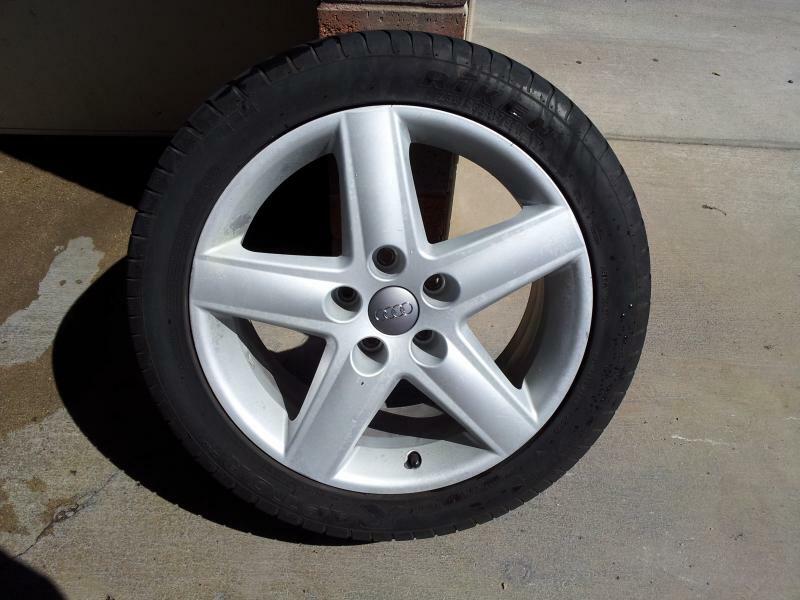 I have a set of four (4) Audi 17" wheels for sale with centercaps. I'm asking $250 for the set. The overall condition of the wheels is good. The finish, while starting to fade and crack, is in fair to good condition. 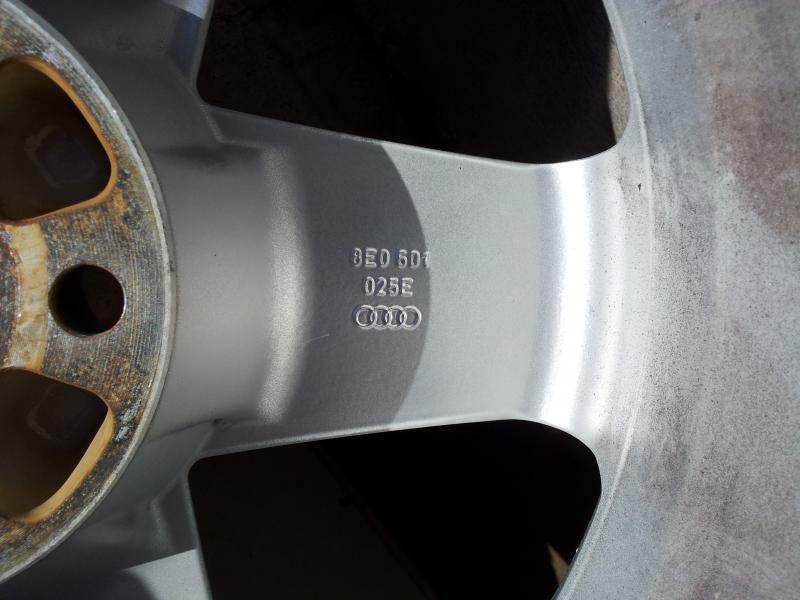 There are a few minor scratches/scuffs but no major curb rash or structural imperfections. Note: The photos show tires mounted on the wheels, but I have since had the tires removed and scrapped. NO TIRES INCLUDED IN THIS SALE. 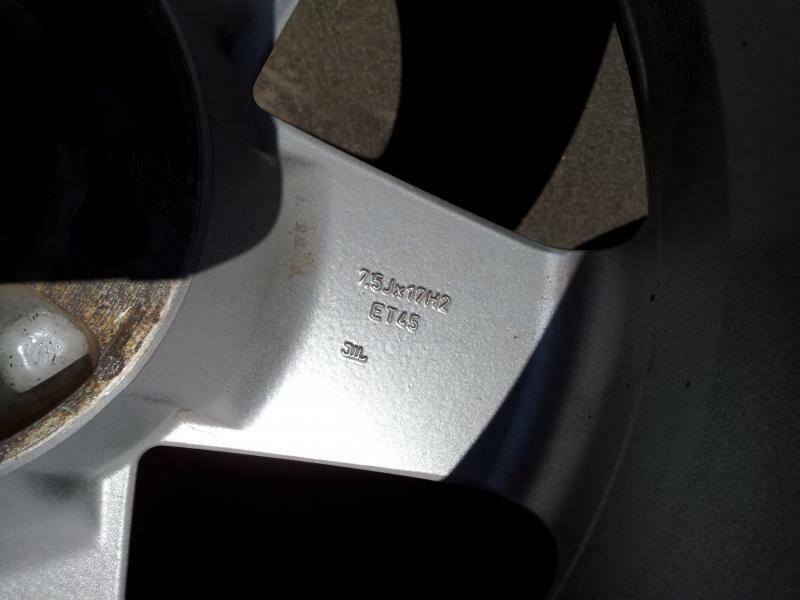 The part number stamped on the wheels is: 8E0601025E. 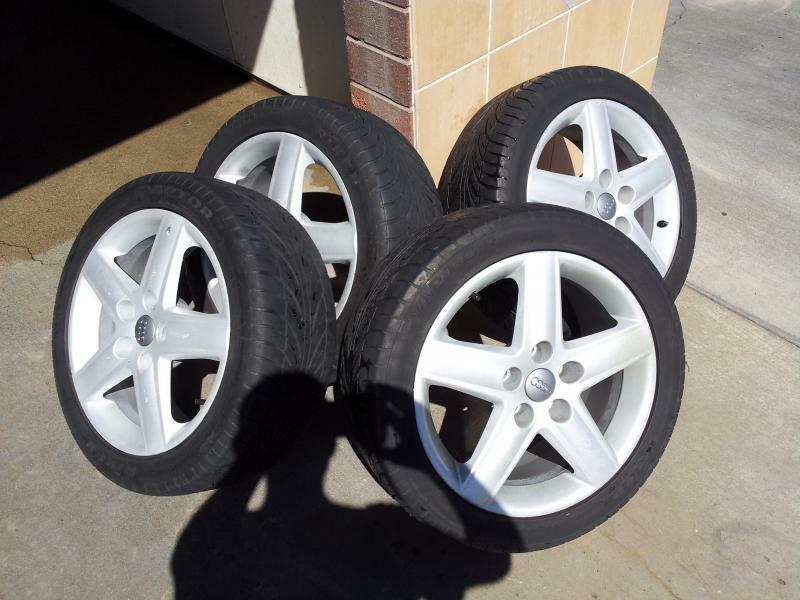 I was going to have these wheels powder coated and then swap winter and summer wheel & tire sets every season, but I have since decided to not invest any further in my 16 year old Audi A4. I'm located in the Salt Lake City area. I prefer to keep it somewhat local, but will ship at the buyer's expense.